The Garden Club Council of Winston-Salem and Forsyth County Scholarship was established in January 2004 to provide financial support for educational opportunities to residents of North Carolina. The scholarship may provide a renewable yearly award of $1500.00 with a cap of $3000.00 for students who will attend a two and/or four-year college and have a been accepted into a horticulture or landscape curriculum at Forsyth Technical Community College or other accredited post-secondary schools in North Carolina. Scholarships will be applied to the cost of undergraduate tuition, fees, room and board, and other college expenses. be enrolled in a horticulture or landscaping curriculum. The online application is available on The Winston-Salem Foundation’s website. Click here to go there now. A student aid committee of the Winston-Salem Foundation will select recipients. The committee reserves the right to rescind an award should a recipient’s circumstances changes, such as failure to graduate from high school or failure to enroll in an accredited institution. The Foundation reserves the right to withhold the award in the event that no applicants are deemed to meet the qualifications. Once recipient(s) have been selected, checks will be issued jointly to the college and to the recipient, and will be mailed to the recipient’s home address for the student to deliver to the college’s financial aid office. Separate checks will be issued for fall and spring semesters. Check processing requires approximately two weeks. Awards are renewable for one additional consecutive year if the recipient maintains full time enrollment, continues in horticulture or landscape architecture, and maintains a minimum cumulative college GPA of 2.0 as verified by the year-end academic grade transcript. Recipient must request an official grade grade transcript from the college’s registrar and forward it to the Foundation by July 1 of each year. The Garden Club Council of Winston-Salem/Forsyth County Scholarship is administered by the Winston-Salem Foundation. As the fund grows, the number and dollar amount of scholarships may be increased. Questions regarding this scholarship may be directed towards the Winston-Salem Foundation’s student aid department at 336-714-3445 or studentaid@wsfoundation.org. 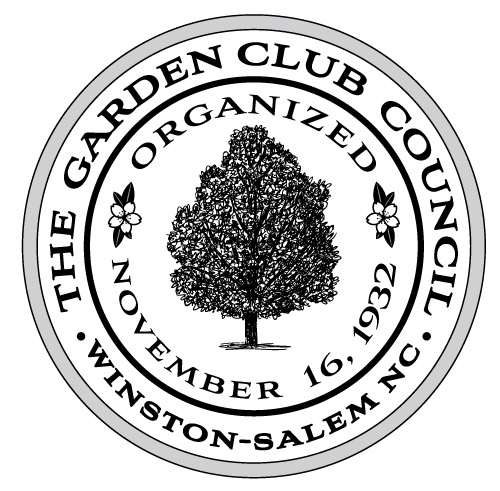 GCC members who would like to support our scholarship fund can send checks made out to the Winston-Salem Foundation with the Garden Club Council Scholarship in the memo line. The address is Winston-Salem Foundation, 751 W 4th St Suite 200, Winston-Salem, NC 27101. Members can also donate online by clicking here.